That’s right friends, we’ve moved the weekly updates to the blog! After looking at all the options, we believe that the tag and category functions available here will make following the updates and reviewing them later easier and more efficient! So have a read, and feel free to discuss in the comments below! We look forward to hearing from you! A minor update was made to the dice roller, adding the option to use d10’s with the Advanced Rolls section. Thanks to Abersade for spotting this oversight. Your report allowed us to get this issue fixed before we were mobbed by the d10 system folks. Also in the good news department, the same micro-update that added the missing d10 option to the dice roller implemented the fix for the Google Maps problem that has been plaguing the site. Users should no longer see the “site owner” error. With the Google Maps issue fixed, the focus falls to the remaining items on the bug list. Specifically Tags and the campaign forums editing bug. Both issues are being worked on, and will hopefully have solutions quickly. As the longer-standing issue, Tags is clearly the top priority to be addressed, and current estimates suggest that a fix will be rolled out sometime this week or next. It’s the end of October, which means November’s Campaign of the Month is just around the corner. That means your chance to congratulate sirlarkins and Co. for their win with A Matter of France is slipping away. And remember to keep the nominations thread thriving! 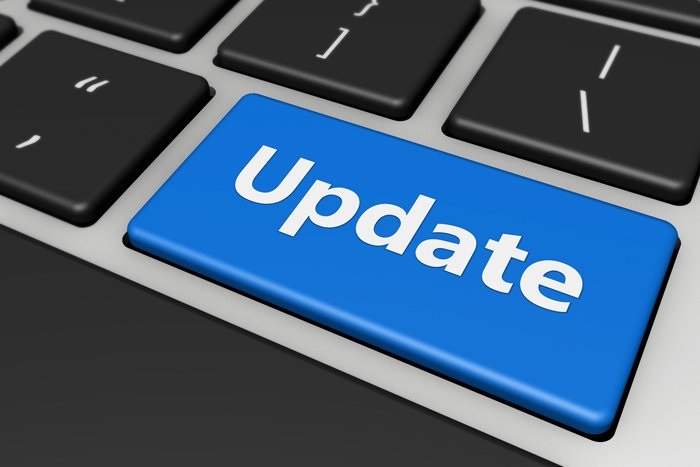 For those users out there that have been requesting alternate payment methods to be added to the site, the next update will be for you. Now that this week’s release has been launched the new features team has moved on to the next batch of items on their list. 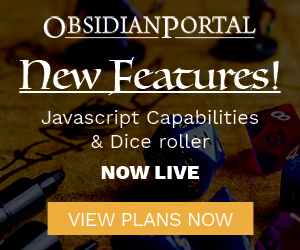 Up first: getting Obsidian Portal subscriptions set up with the option to use PayPal! That’s going to do it for this week folks, until next time!